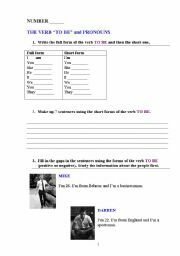 This worksheet can be used for revising the Present Continuous Tense and the verb TO BE. It consists of two exercises. 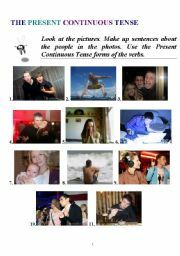 I hope you won´t consider this worksheet to be offensive in any way:))) I use it during my lessons with adults who are fond of different parties and of those places where they can have a good rest and just relax:)))You can use it for practising the Present Continuous Tense as well as for revising adjectives describing people and the verb TO BE. 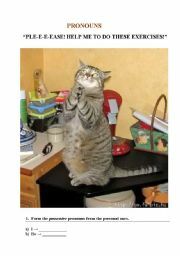 I´ve made up this exercises after having typed the grammar material which is called ARTICLES (Introduction). You can find it among my printables. If you use it, give your pupils the grammar material first and then this exercise. Good luck!